As you go through the series, we encourage you to ask questions! There are no bad or dumb questions. Everyone is here to learn, together. To ask questions and discuss, use the comment functionality on any of the lesson pages. After you've read through the articles and attended the webinar, you'll be invited to take a short self-assessment survey. Upon completion of the survey, you will be emailed an official Conduit ED completion certificate. Analyst in Energy Efficiency Dept. Conduit ED Market Transformation Lesson 6: Knowing where we are on the way; measuring progress. Conduit ED Market Transformation Lesson #1: What is a market and why should I care? Conduit ED Market Transformation Lesson 5: Starting with the end in mind; visioning the transformed market. 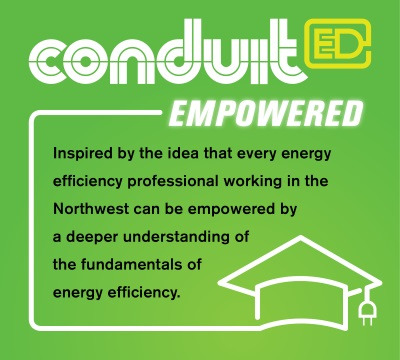 Thanks for participating in Conduit ED this year! We're working on topics for 2016, so check back for more info! Conduit ED - What Do You Know About Market Transformation?